Teaching Gender, Teaching Women’s Health presents case studies from Sweden, South Africa, Australia, and the United States that illustrate the importance of gender education for health care workers. Each study includes tips and strategies that can help you expand your professional perspective to include gender-related social understandings of health and illness. The case studies in this book highlight innovations that include changes in curricula or in the content of specific courses as well as new methodology and pedagogical approaches. These innovations are designed to support women in their training to be health professionals, enhance the quality of health care for women and transgender patients, and support research programs and studies that adopt a gender perspective. Teaching Gender, Teaching Women’s Health also offers you recent research about a commonly overlooked issue: the inclusion of lesbian health in medical education programs. Each case study is well referenced and several include tables and statistics that support their findings. 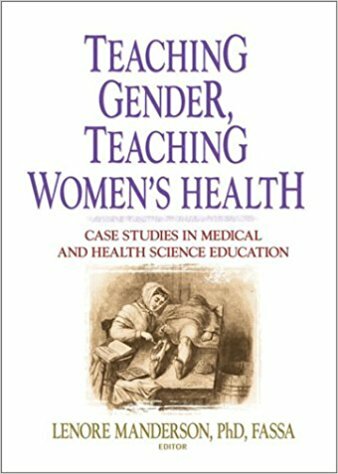 This book is vital to medical school faculty, health practitioners, medical students, and women’s health advocates.